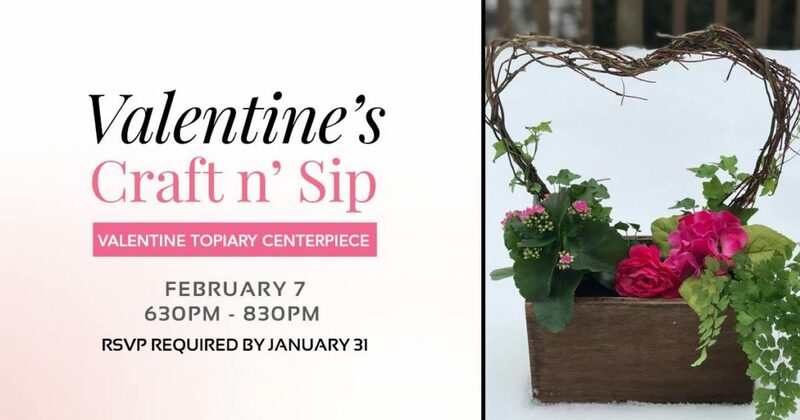 Spend the evening planting a Valentine Topiary Centerpiece (ivy topiary, kalanchoe, maidenhair fern and faux pink flowers). The wooden box and topiary vine are handmade. Learn how to plant and maintain your arrangement. All supplies included and the cost is $55 which includes a complimentary wine tasting & light snacks.